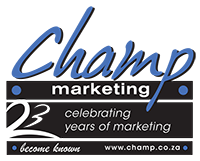 Launches » Champ Marketing » 23 Years Young! Each event becomes part of the Champ Marketing idea bank. They brain storm ideas on how the launch must be activated and have regular meetings with there clients. They arrange the invites, the venue, the food, the décor, the sound, the entertainment, the media and the creative idea of the launch. Truly a company whom has been involved with landmark launches in Newcastle and surrounding areas.